62001, 62062 and 62073: although all three units belong to the owner of the “C.F. Touristique Pontarlier – Vallorbe (CFTPV)/ Coni’Fer”, none has ever been in use on that railway, as it is too lightly built for the engines. The 7.5 km long railway, located between the French city of Pontarlier and the Swiss border-town of Vallorbe, was built by a local public works contractor, using his construction equipment. 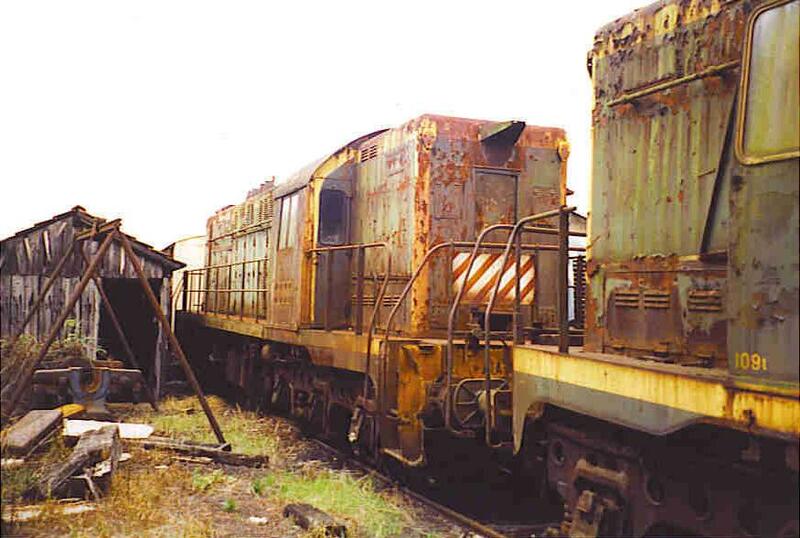 Both 62001 and 62073 are stored in unrestored condition outside the CFTA (a short line operator) workshops in Gray, near Dijon. There is a consensus amongst railfans that 62001 should have been preserved at the French railway museum in Mulhouse as it represents the first engine of the class which introduced diesel traction on a large scale to France. However, SNCF thought otherwise. 62001 had been in use until 1979* and 62062 until 1993, while 62073 was sold to the “Trains à Vapeur de Touraine (TVT)” by SNCF in 1986 and bought by its present owner in 1998. 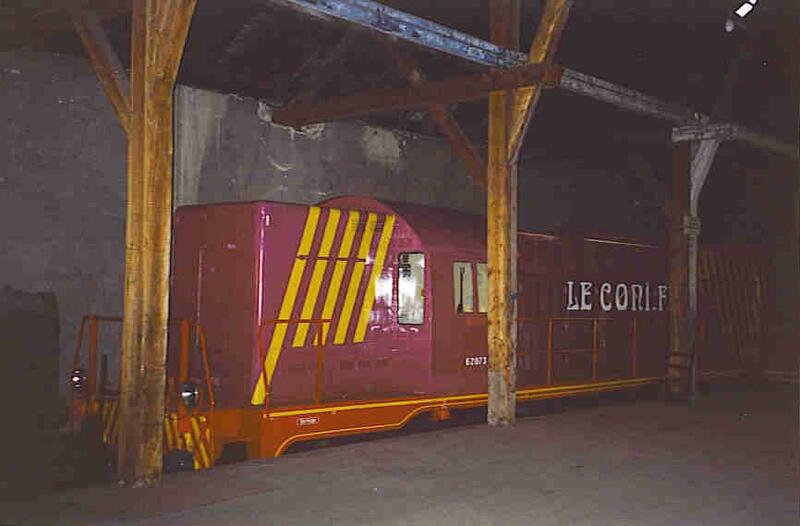 It was restored at SNCF’s Perrigny workshops in Dijon in 1999/2000 and repainted pink/purple with yellow stripes (the owner has a taste for brightly painted equipment), and was intended to be used to pull special trains over SNCF trackage in the Jura mountains region. 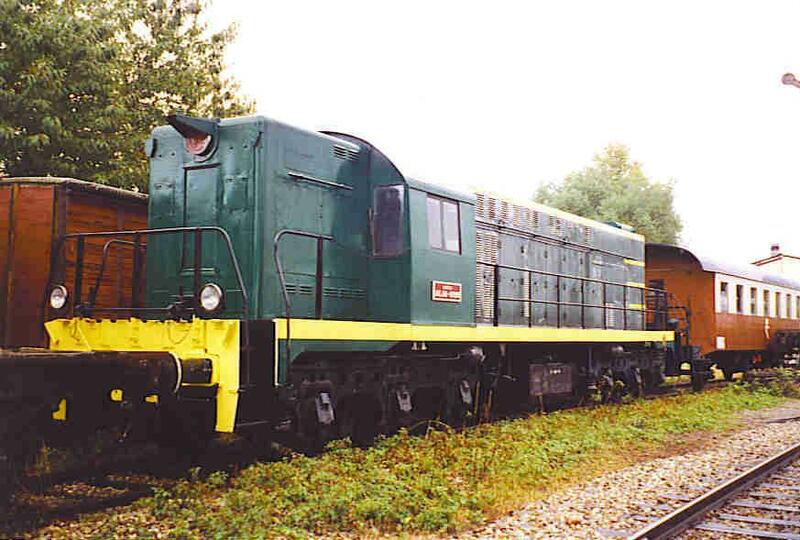 However the owner has never been able to get an agreement to operate the engine over SNCF trackage, and it has been stored inside the former goods shed at Pontarlier station since then. The photos of 62001 and 62062 were taken at Gray on September 1st, 2002, while that of 62073 was taken at Pontarlier on October 2nd, 2001. 62029 (acquired from SNCF in 1984) at the “C.F. Touristique du Rhin (CFTR)” in Vogelsheim (Alsace) is operational and the engine is started at least once a month to keep it fit. When this coincides with an operating day for the tourist railway it is used to shunt the passenger train from the shed/workshops area to the station (and back in the evening), from where a steam locomotive takes over the train for the 11 km long journey over trackage owned by the local river port authority and used by freight trains on weekdays. At the end of the line, passengers have the option of taking a river boat cruise before returning on the train. Both photos were taken on October 6th, 2002. Since then the engine has been repainted. 62032 and 62036: both engines, together with 62073 (now at Pontarlier), were sold to the “Trains à Vapeur de Touraine (TVT)” between Richelieu and Chinon in Central France, renumbered DA-32 and DA-36 and respectively repainted blue/yellow and orange/grey. 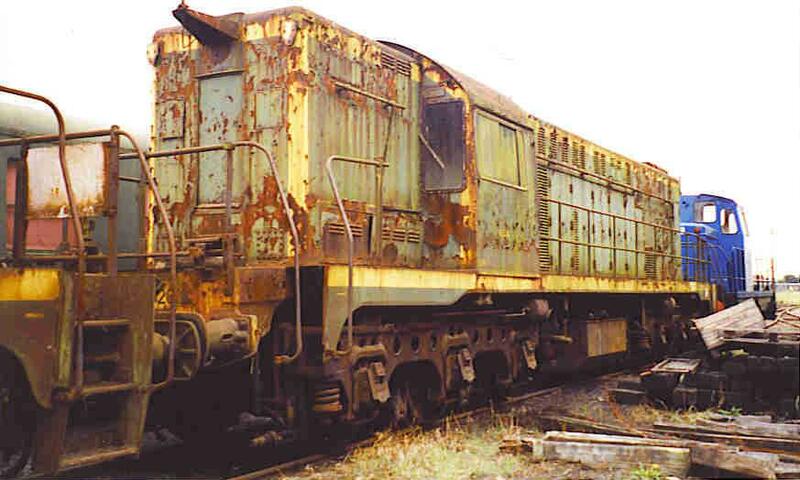 Both engines are stored out of use at Richelieu, 62032 with a fractured engine block and 62036 with an out of use generator. The railway itself closed after the 2005 season due to the bad condition of the track. Its future is uncertain as the local government, which owns the 20 km long railway, refuses to invest funds into track repairs, even though the line was a major tourist attraction for the region. 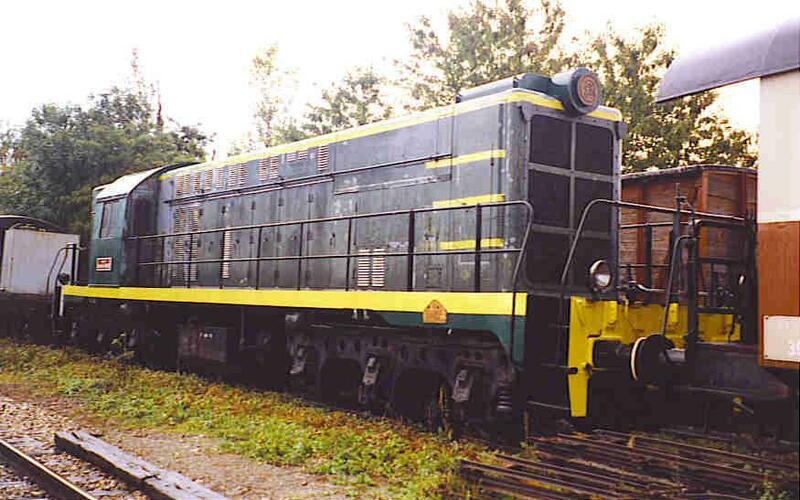 62094 is preserved at “Centre Denis-Papin” mining and railway museum center in Oignies (north). It was retired from active service in 1996, at last stationed at Lens, but is still operational and was recently repainted. Initially it was given to the museum by SNCF on a ten-year loan (renewable), but I don’t know about its present ownership status.